Harold is an author and independent children’s book editor who works with authors and publishers. Harold enjoys teaching, and in that role wrote The Complete Idiot’s Guide to Children’s Book Publishing, now in its third edition. He is a contributing editor to Children’s Writer’s and Illustrator’s Market. He founded and runs The Purple Crayon, a respected Web site with information about the children’s publishing world at www.underdown.org. He runs the Kids Book Revisions workshops and tutorials with colleague Eileen Robinson. He also speaks and gives workshops at conferences, including the SCBWI’s national conferences in Los Angeles and New York, the Highlights Foundation Workshops, and smaller conferences all over the country. Previously, he worked at Macmillan, Orchard, and Charlesbridge, and has experience in trade and educational publishing. 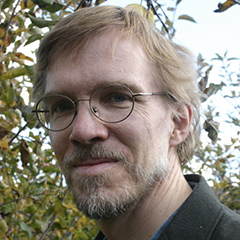 He has edited a variety of fiction and nonfiction in both picture book and chapter formats, including such titles as Yumi Heo’s One Afternoon, Laurence Pringle and Bob Marstall’s An Extraordinary Life, Lisa Rowe Fraustino’s Ash, Grace Lin’s The Ugly Vegetables, and Katherine B Hauth’s What’s for Dinner?. Harold’s guest post: 7 Quick Tips for Beginning Writers. Harold’s guest post: How to Start Revising That First Draft.